Discover the gourmet restaurant's molecular gastronomy. Let yourself be tempted by the friendly atmosphere of the Bistro and its bar. Tickle your taste buds with the menu of our best champagnes. Dive into the balneotherapy bath in your "bubbles" room, and come and enjoy a moment of relaxation on the terrace of the establishment! On reservation with our partner, enjoy a massage in your room. For your stay in Seclin, don't hesitate to contact our tourist office. You will find great walks and leisure activities to do as a family. The chef is also a golfer; he will be able to advise you and book you a green fee. Or you can give skydiving a whirl with Weembi in Lesquin. A wonderful experience! Between Lille, Tourcoing, Roubaix, Villeneuve-D’Ascq, Douai and Lens, there are a host of leisure activities, museums and walks to discover. Saint-Piat is a Catholic church, the vestige of a collegiate whose origins date back to the 7th century; it is the oldest religious building in the Lille metropolitan area. 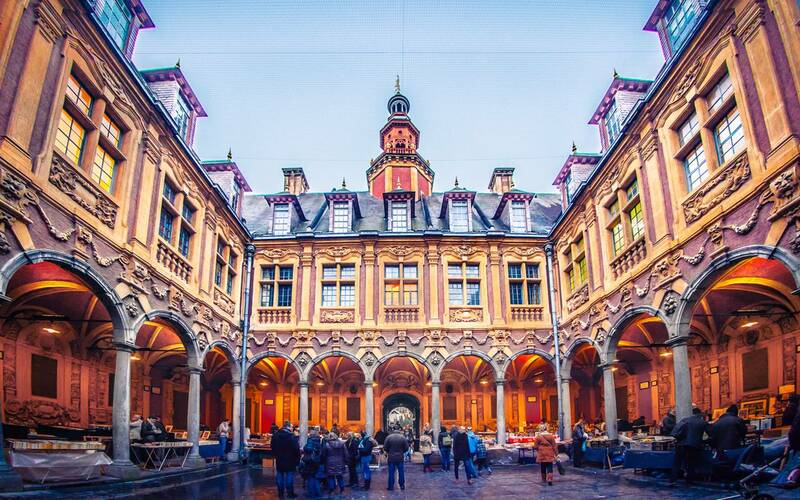 The flamboyant architecture of Old Lille holds an attractive appeal. The Vieille Bourse: Unquestionably the city's most beautiful monument. The Grande Place: A panorama of architecture from the 17th to the 20th century. The Citadel: the work of the Marquis de Vauban. The Palais Rihour: one of the rare vestiges of Gothic architecture in Lille. Euralille: new futuristic district dedicated to shopping. Discover the different services and equipment at your disposal during your stay at the hotel.